Watch this video to find out... what it is, how it works and how to use it!! head to toe... it even treats acne! the smell of fish bait. IT'S A WISH COME TRUE!! Not a girly flowery product either so men enjoy using it as much as ladies!! A moisturising body scrub and a creamy light moisturiser. 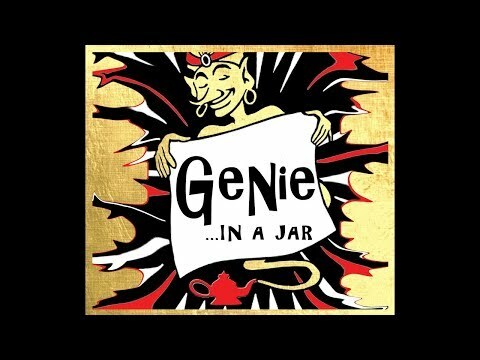 What makes Genie in a Jar so desirable? pure and cleanest seas in the world. The six essential oils have been carefully blended to maximise health benefits and provide a skin perfume that delivers what has been described by users as the ‘WOW’ factor. On top of all this NO ANIMAL TESTING has taken place. ​para bans, silicone, formaldehyde, petrochemical derivatives, animal ingredients, sulphates, PEG emulsifiers, phenoxyethanol, sulphates, colours or other non botanical ingredients. The BODY SCRUB exfoliates, cleanses, heals, and moisturises the skin. When a small amount is massaged into the skin the sea salts exfoliate the dead skin cells off. This opens the pores and allows the 6 essential oils to penetrate deep down into your skin, therefore maximising healing and moisturising benefits. After the excess salt is washed from the skin you are left with super soft and smooth skin. You now have a waterproof protective barrier covering your skin along with a heavenly scent that will stay with you long after. This means... that now, every time you wash your hands, they will not dry out. This is what makes it so beneficial for hard working hands such as farmers, gardeners, nurses, mechanics, hairdressers, mothers and tradesmen of any kind!! ANYONE WASHING THEIR HANDS ALL THE TIME. The MOISTURISER is very light, non greasy and deeply penetrating. "about the product" and "how to use them" pages. I am trying it on my hubby's back. He suffers from a skin problem where the skin on his body doesn't shed proper lt. He has had 2 treatments and I think I can see an improvement on the pimples/boils. I will certainly be repurchasing these products. so much better than the steroid ointments I have had to use in the past. your products and just wanted to send a quick email to say thank you, your products are amazing!